Alcohol can damage the DNA of blood stem cells according to a study in mice, which might help explain the link between alcohol consumption and increased cancer risk. When alcohol is broken down in the body it creates a chemical called acetaldehyde which UK scientists have found can damage DNA. The damage to the DNA in blood stem cells - which grow and divide to produce all other blood cells - is widespread. For most people, the body breaks down acetaldehyde quickly, however some 540 million people in Asia carry a gene mutation which means that they cannot break it down. This research suggests that this population in particular may be at risk from alcohol-induced blood disorders. Alcohol can damage the DNA of blood stem cells, a mouse study published this week in Naturereports. The study could help to explain the well-known link between alcohol consumption and increased cancer risk. Alcohol consumption is a public health problem, contributing to various illnesses and to global mortality. Here, Ketan Patel and colleagues show that acetaldehyde, a metabolite of alcohol that also occurs naturally at a low level, causes double-stranded DNA breaks in blood-forming haematopoietic stem cells in mice. Although some of these DNA breaks are subsequently repaired, the residual damage is still widespread, with certain regions being deleted and whole chromosomes being rearranged. These genetic changes are then transmitted to the millions of progeny derived from these stem cells that populate the blood. For most people, acetaldehyde is a transient by-product of alcohol that is oxidized to acetate by the enzyme aldehyde dehydrogenase 2 (ALDH2). However, some 540 million people in Asia carry a mutation in the ALDH2 gene, meaning that they cannot break aldehyde down. It is known that drinking alcohol puts these people at an increased risk of developing oesophageal cancer. 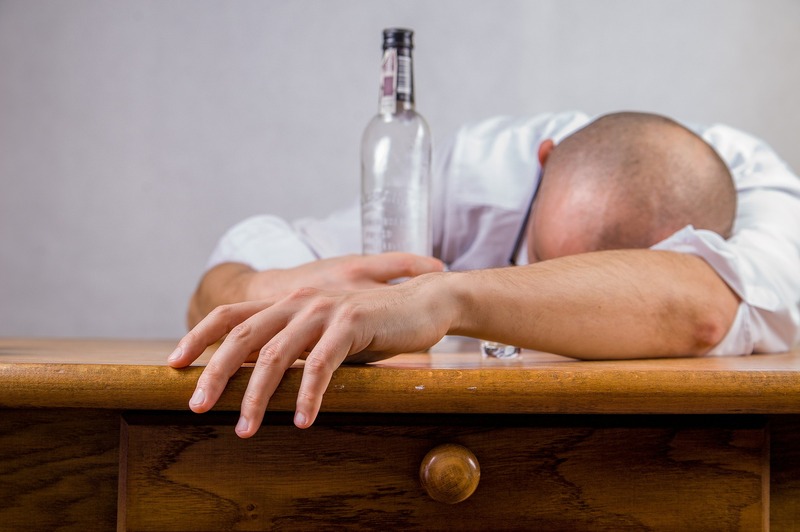 However, the new study suggests that they may also be susceptible to alcohol-induced age-related blood disorders, although further research is needed to determine whether these findings can be translated to the clinic.